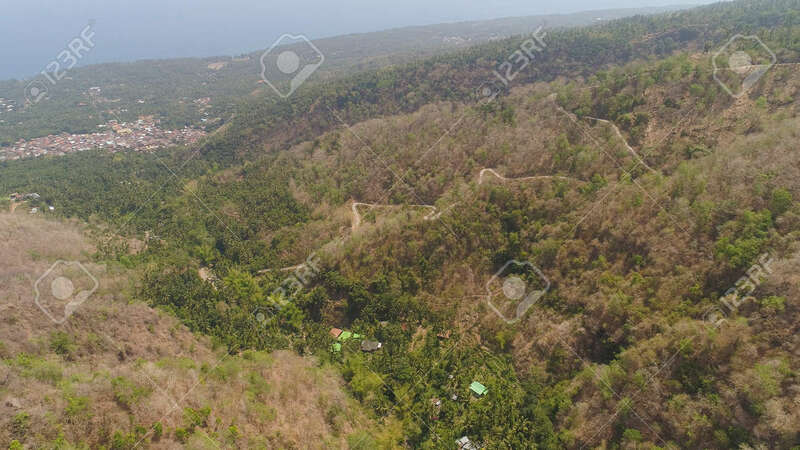 Aerial View Slopes Mountains Covered With Forest And Vegetation Against Blue Sky. Mountain Hilly Landscape In Asia. Tropical Landscape Lizenzfreie Fotos, Bilder Und Stock Fotografie. Image 115258505.